Never before in human history has there been a technology as highly personal, rapidly deployed, and universally embraced as the mobile device (phone, tablet, etc.). In 2011, the number of people living on earth passed seven billion. Mobile phone subscriptions are expected to surpass seven billion by the end of this year. 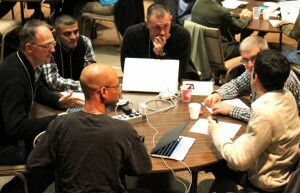 This is the most widespread media on the face of the planet and in December 50 mission strategists (representing 40 organizations) gathered to consider how the Church can best leverage this technology for the glory of God. This document includes a brief summary of the event, links to recordings of presentations shared there, extensive notes and contact information for the MMF Steering Committee members.